Our first visit to Curzon Ashton this season proved to be a lively affair with Burnley beating Bolton Wanderers 2-0 in a game that saw three players sent off, one of them on a stretcher, and Steven Defour playing for almost an hour. Both goals, scored by Dan Agyei and Dwight McNeil, came in the first half with what proved to be a very eventful second half to follow, but most Burnley eyes were on the number 10, Belgian international Steven Defour who was playing for the first time since January. Defour played just short of an hour and made a big contribution to the performance while on the pitch although he had no direct involvement with either goal. It looked as though he’d never been away. His passing was good, his movement was good, his ability to get into position to take a pass was excellent and to add to all that he can be given great credit for the way he helped some of the younger players around him. Burnley were the better side in the first half and could have been in front even before we did actually take the lead in the 35th minute. What a good goal it was too. McNeil played a superb ball into the box, Tunde Bayode did really well touching it on to Agyei who made no mistake from close range. Six minutes later it was 2-0. Bayode was involved again but it was a good finish from McNeil. I didn’t expect Defour to return for the second half, I’d assumed he’d play 45 minutes, but he did and stayed on the pitch until the 59th minute. He missed a lot as the game went crazy. The referee, in my view, had been far too lenient with Bolton and when Marcus Wood, who seemed to be involved in far too much of the unpleasantness, conceded another free kick it is fair to say that all hell broke loose. It really was a mass brawl, even the goalkeepers got involved. It was on the far side of the pitch with all three match officials over there and the referee blowing on his whistle time and time again. Eventually calm was restored. It had been difficult to see exactly what had happened but eventually the referee showed Harry Brockbank a yellow card which was quickly followed by a red. Then it was the turn of Burnley’s Ali Koiki. He got a straight red. Brockbank behaved like a spoilt child as he went up the tunnel; Koiki made his way more calmly. So, down to ten a side but there was more to come. With around 12 minutes to go, Christian N’Guessan went in on Wood and both went down injured. It appeared that N’Guessan had slipped but he certainly came off the worst. Wood got up and was able to continue but N’Guessan was stretchered from the field receiving oxygen but as the stretcher was lifted so up went the red card again. It made no difference on the day because we’d already used all our subs so couldn’t have replaced him. Bolton might have sensed they could still get something from the game but we saw it out brilliantly and never really gave them a glimmer other than a couple of efforts that Anders Lindegaard dealt with easily. With the 90 minutes complete, we wondered just how much stoppage time there would be. Between us in the stand we reckoned anything between eight and eleven minutes given the long stoppage and all the substitutions. Incredibly the fourth official held up the board showing just four minutes. The ref played five but the points were always going to be ours. It’s moved us up the table, but the real positive to come from this game today was the sight of Defour in that number 10 shirt. 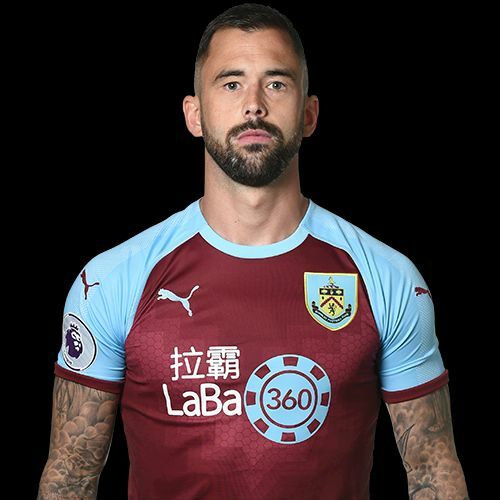 Burnley: Anders Lindegaard, James Clarke, Ed Cook (Teddy Perkins 73), Oliver Younger, Ali Koiki, Tunde Bayode, Mace Goodridge, Steven Defour (Anthony Glennon 59), Christian N’Guessan, Dwight McNeil (Tinashe Chakwana ht), Dan Agyei. Subs not used: Adam Bruce, Kian Yari. Bolton: Ben Williams, Harry Brockbank, Joe Muscatt, Liam Edwards, Yoan Zouma, Jack Earing, Dennis Politic, Marcus Wood, Stephen Duke-McKenna, Joe Pritchard, Luca Navarro. Subs: James Aspinall, Zyron Francis, Will Hartshorne, Shakeel Jones-Griffiths, Luca Connell.